Fort McAllister State Historic Park, which marks the end of General William T. Sherman's March to the Sea during the Civil War, is located on the banks of the Ogeechee River, and includes a mix of salt marsh and forested habitats. Here, you’ll see painted buntings and other songbirds, wading birds, waterfowl such as wood ducks, and raptors such as osprey and bald eagles year round. In winter, migratory birds such as the northern harrier are seen. Richmond Hill J.F. Gregory Park, operated by the City of Richmond Hill, is dominated by a 300-acre former antebellum rice field. A three-mile walking trail runs along the top of a dike that encompasses the field, which today is a wooded wetland and home to all sorts of birds. 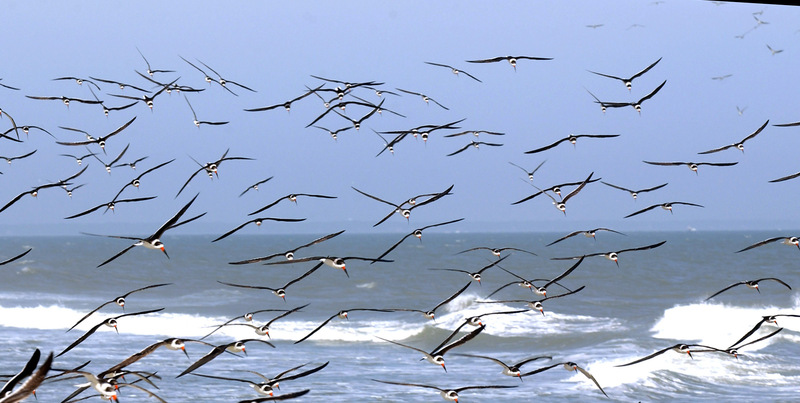 Songbirds, wading birds and raptors are seen all year, and migratory waterfowl in winter. Look for warblers during spring and fall migrations. Prothonotary warblers are best seen from April to June. Get up early and grab a cup of coffee from Way Station Coffee Company, then head out to either of these two sites to listen to the birds awaken as the sun comes up. After a morning of noting or photographing your sightings, try an international-style lunch in Richmond Hill. You can spend your afternoon either north at such sites on the Colonial Coast Birding Trail as Skidaway Island State Park, Tybee Island, and the Savannah-Ogeechee Canal Museum & Nature Center, or south at Harris Neck National Wildlife Refuge, the Okefenokee National Wildlife Refuge, St. Simons Island, Jekyll Island, or a number of other sites. 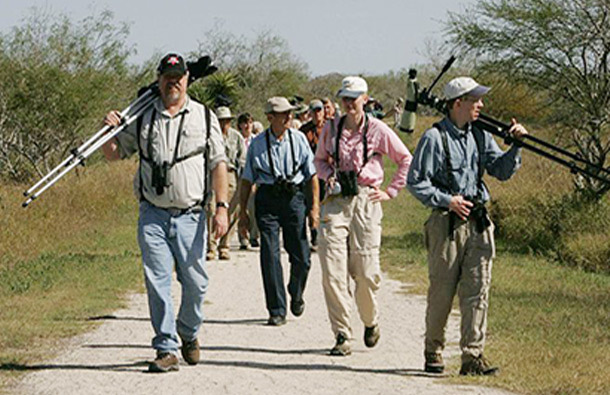 More than 300 species of birds (75 percent of the total species of birds seen in Georgia) have been spotted at the 18 sites along the birding trail. See the complete list of sites here.